Like many other readers, I've greatly enjoyed Lisa Unger's newer books. I wasn't aware that this one was a very early effort, the third she'd written, originally published under her maiden name, Lisa Miscione. Would I have bought it, if I'd known? Probably, I wouldn't have known. Some early works by other writers have been just fine. This one? Not so much. 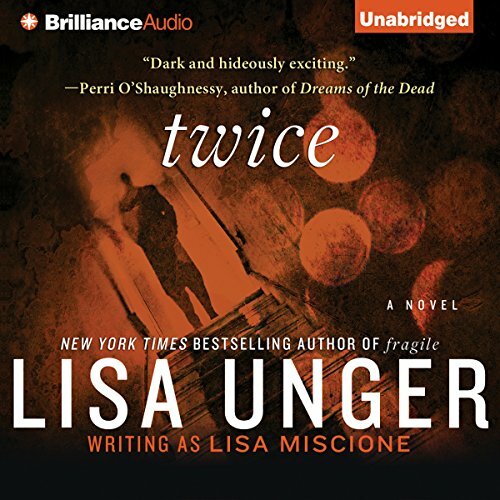 If you like Lisa Unger, you might want to skip it. What's the problem? Just an immature writer, lots of high-handed preaching, too many lofty idealistic notions set into the plot, all of which gets tiresome after a while. One example: Part of the plot revolves around a community of homeless people who live in the tunnels and channels underneath New York City. The history of all those subsurface dwelling places -- and the people who live there -- is interesting, and has been explored in other books by other writers. Unger does fine in the history department. But as many young writers tend to do, she over-endows those homeless characters with way too much honor and virtue. Time and time again, we're informed that in THIS community -- underground -- "everyone gets a chance." Everyone will be left in peace, we're told, so long as they "obey the rules, don't hurt anyone and don't cause trouble." So tell me: how exactly does that differ from the regular world upstairs? If these homeless and disaffected (and many of them mentally ill) could have followed those three simple rules, wouldn't they now be living in a nice 3/2 bungalow with a picket fence in Poughkeepsie? Bottom line: too much preaching, too much lavishing of praise on the virtues of the homeless and disaffected. It makes you wanna growl after a while. Found the storyline very interesting and was entertained trying to decipher the actual motive of the murders and the killer until the end. The narration was reaspnable but please work on the Australian accent. As an Australian I don't know anyone who speaks so poorly. Story is ok. Attempt at strong heroine ends up as someone who does obviously stupid dangerous stuff. Hard to care what happens to her.